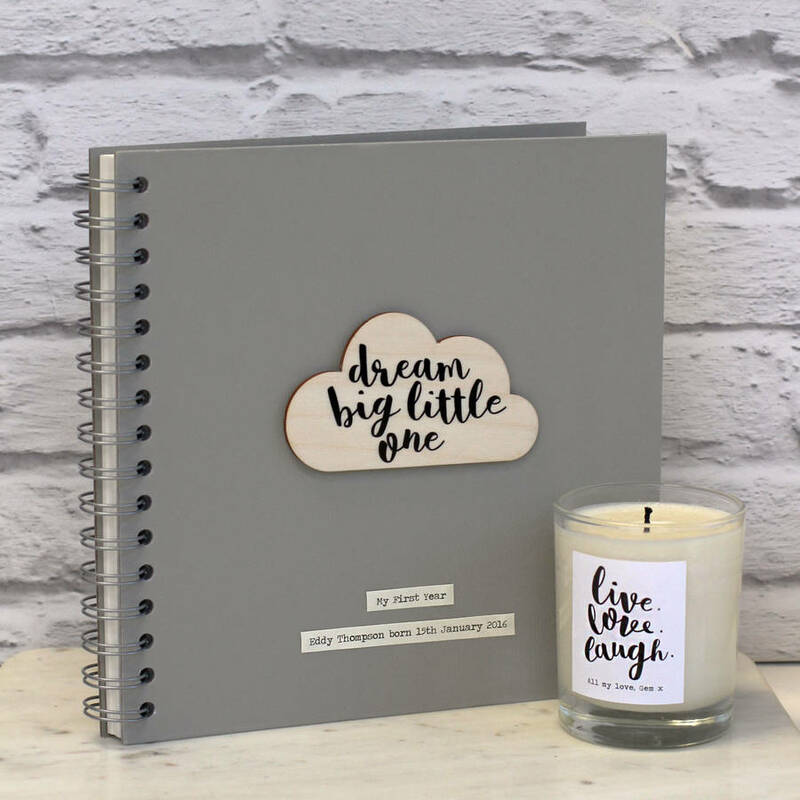 A delightful personalised memory book in the choice of three colours. 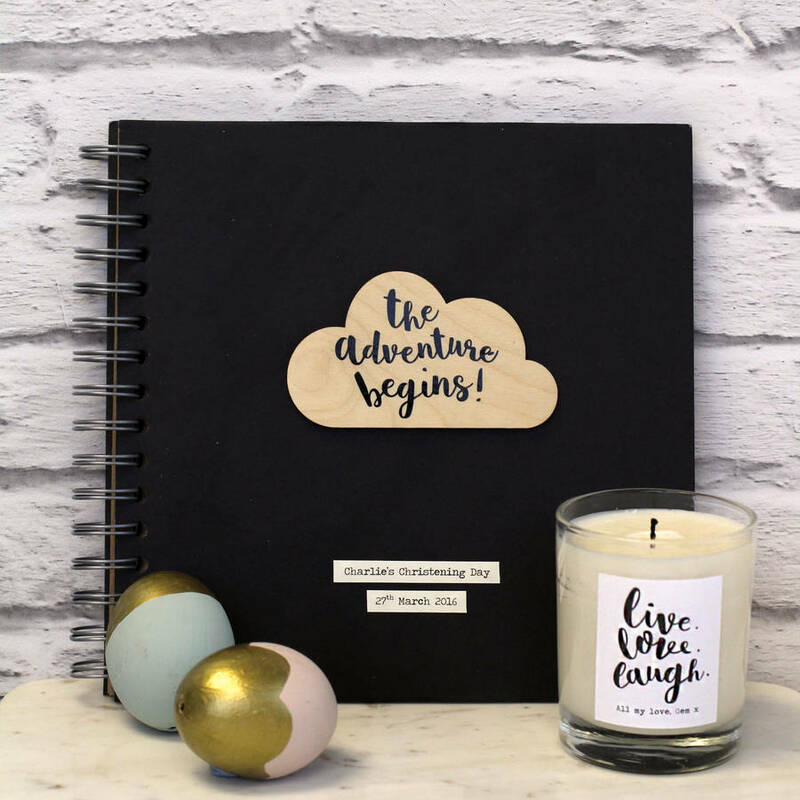 What better way to document your special event than with your very own personalised book. 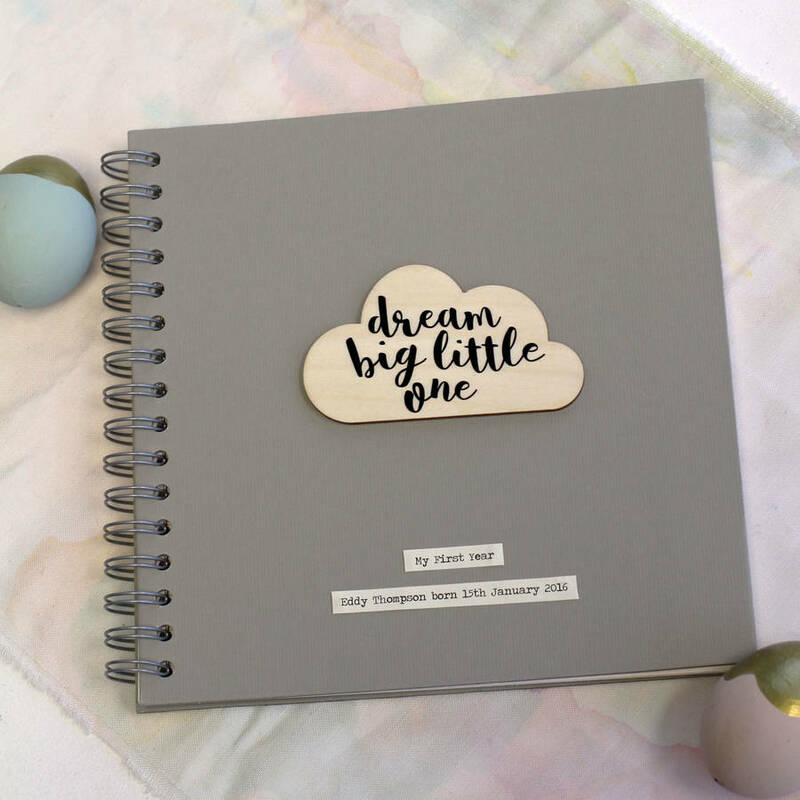 Whether it's for an anniversary, Christening, wedding or to document the first year of your newborn, this beautiful handmade memory book makes the perfect photo album/note book. 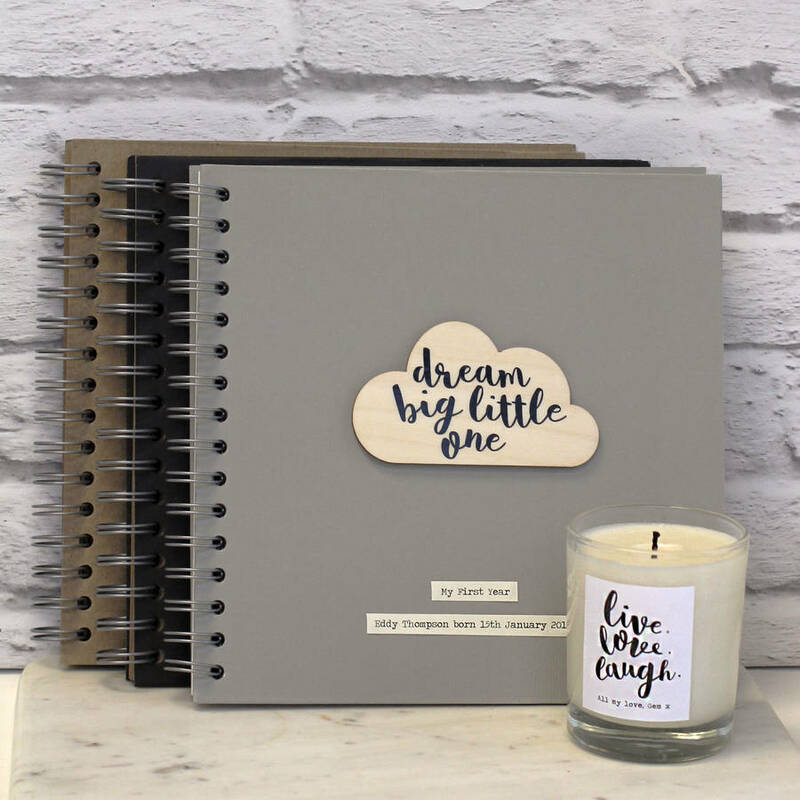 You can personalise the cloud with one of three unique Posh Totty designs, simply choose "Dream big little one", "The adventure begins" or "To the moon and back" and add an optional sentence or two below the cloud to suit your occasion. Choose from three coloured books: Black, Grey or Kraft colour. 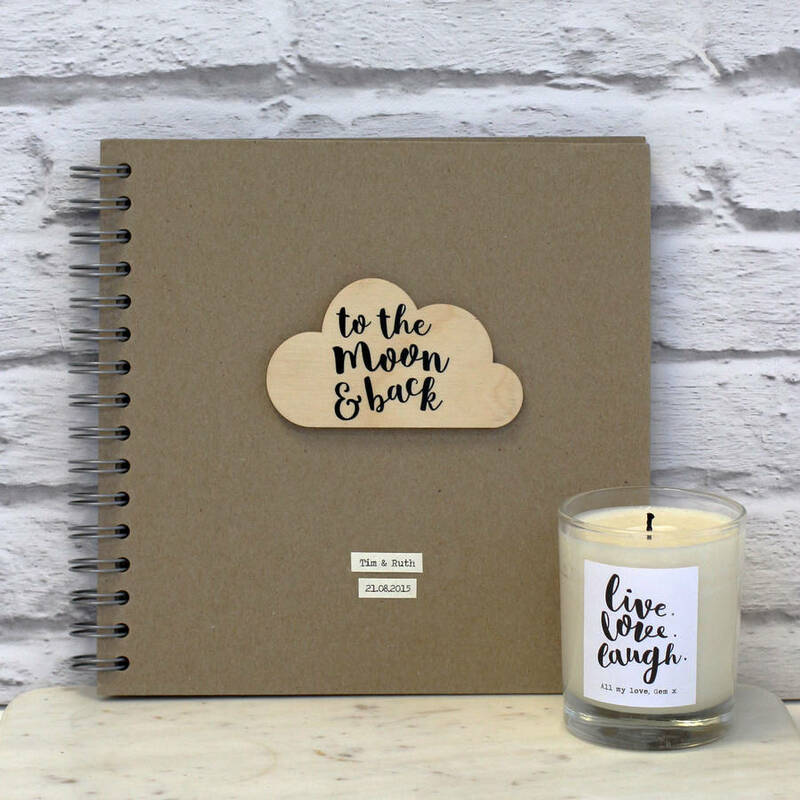 Please note that the amount of pages inside vary from colour to colour. 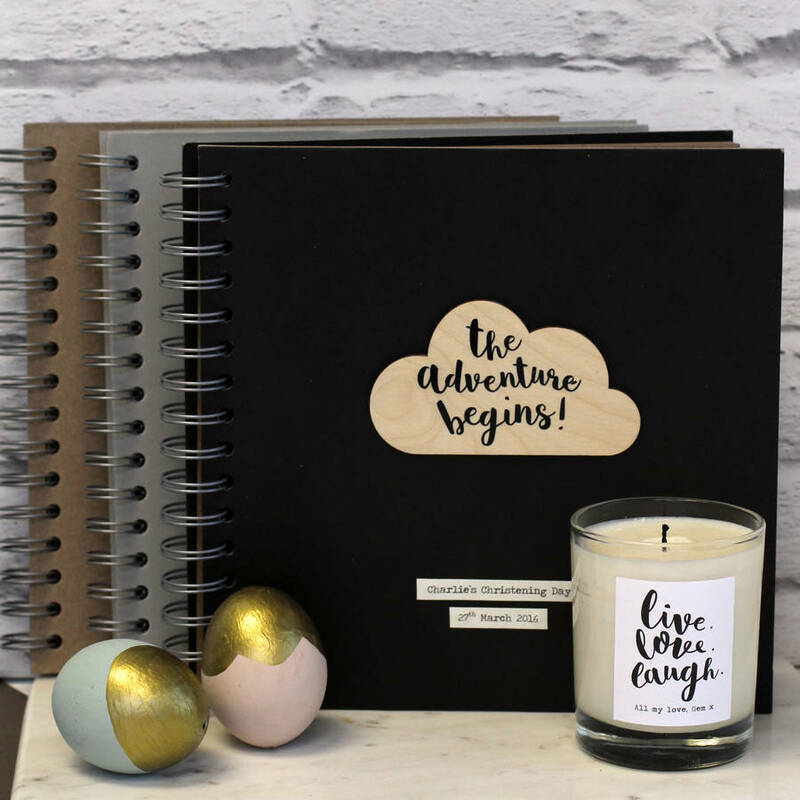 Quality hardback, ringbound book. 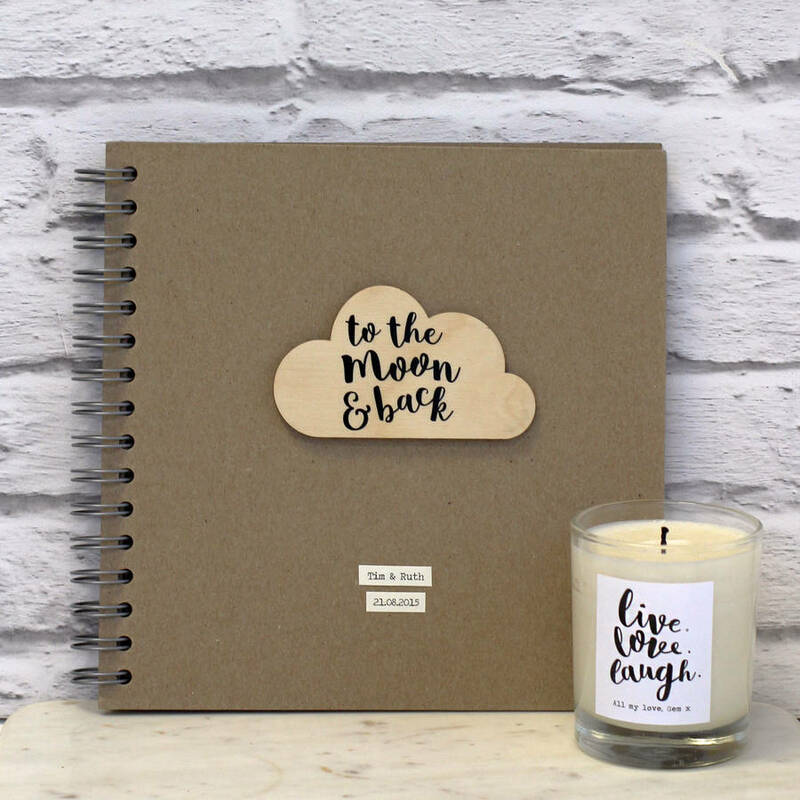 Inside pages are blank 150 gsm cartridge paper. Wooden cloud motif.